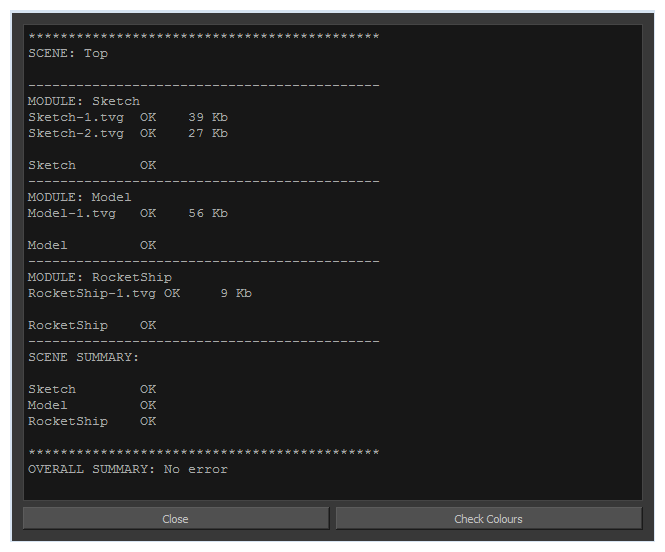 The Check Files commandVerifies the integrity of the drawing and palette files in your project. Use the Check Files dialog box to verify that the data is consistent, correct, and accessible. From the top menu, select > Check Files. 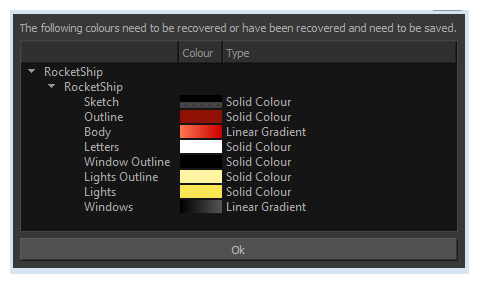 Click Check Colours to open the Check Colours dialog box.